GWS consolidated their position as one of the best sides in the comp last year, finishing in the top four again only to lose a preliminary final once more. Yes, they had injuries throughout the season, but hit the finals with a clean bill of health and were found wanting against both Adelaide and Richmond by an even six goals each time. Shane Mumford and Steve Johnson retired. Devon Smith and Nathan Wilson, the starting 18 half-forward and half-back respectively, were traded out on request. Tendai Mzungu and Joel Patfull, who provided experienced depth, are no longer there. Matthew Kennedy, still up-and-coming, went to Carlton. No-one of note was brought in. At the time, the feeling was the Giants may have peaked already and were about to come down the other side. Was 2017 the end of an era, or can GWS find their way past preliminary final weekend and into the last Saturday in September? The first thing to note is that Zac Williams has not been included in the team above, due to an Achilles injury that is expected to keep him out for most, if not all, of the season. With the departure of Nathan Wilson to Fremantle, Williams was arguably the player they could least afford to lose. Only Essendon could rival GWS for slick movement from the back half last year, and now the Giants don’t have their two magicians. Brett Deledio is an obvious fit for who can fill a running role, with Ryan Griffen another candidate. While not as quick as they used to be due to age and injuries of their own, their skills are still the most natural fit. It was sad to Deledio battling away late last year, but the whispers suggest he has been training the house down this pre-season and is ready to go. Griffen has also done what is required. Lachie Whitfield may also spend some time behind the ball, while Jeremy Finlayson has also been earmarked for a position and has looked composed in the pre-season. He’ll play the apprentice to Heath Shaw’s master, with the ex-Collingwood veteran still an important cog. Nick Haynes is a gun interceptor, and Adam Tomlinson might have found his place as a tall, driving linkman. Both can afford to be let off the leash a little bit, given Aidan Corr and Phil Davis are there to provide sturdy defence. 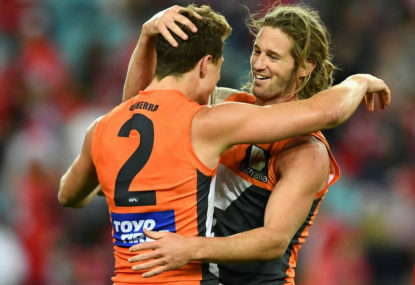 The GWS midfield is to drool over, but we knew that already. Tom Scully and Lachie Whitfield running hard all day on the wings. Callan Ward crashing his way in and out of packs. Josh Kelly with his silky movement, and exquisite touch to go with it. Dylan Shiel a combination of Ward and Kelly, an inside player with dancing feet. Stephen Coniglio has no known weakness and is possibly the most consistent of the lot. It’s as balanced, dynamic and talented a starting midfield group as we’ve probably ever seen. Jonathon Patton and Jeremy Cameron kicked 90 goals between them in 2017, and we can expect that to head north of 100 this year. Patton is starting to come into himself as a menacing presence and is the more stay-at-home type, while Cameron is the roamer that loves to lead-up and double back, beating his opponent for pace and athleticism either way. 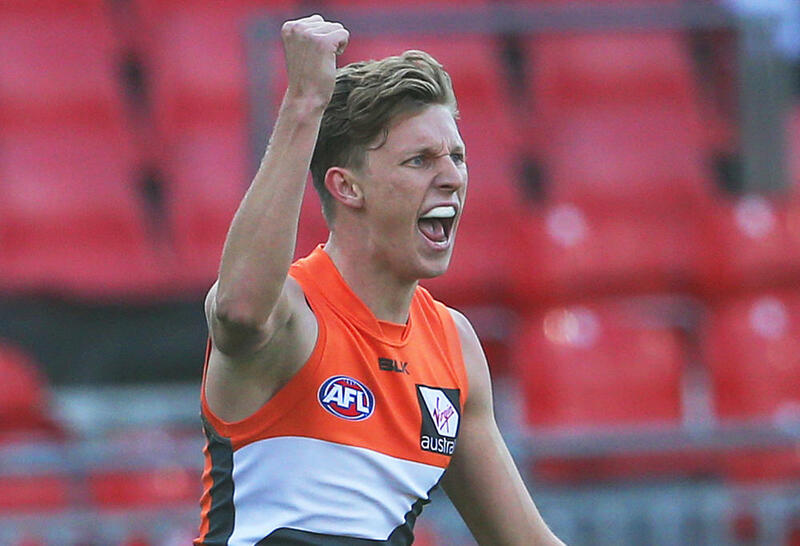 Rory Lobb has historically been the third wheel in the attack, but the Giants were starting to look too top-heavy as we enter the era of small-ball. Mumford’s retirement opens the door for a seamless transition to the ruck for Lobb, where his marking and mobility can be an asset. The forward-line now looks quicker and more nimble. 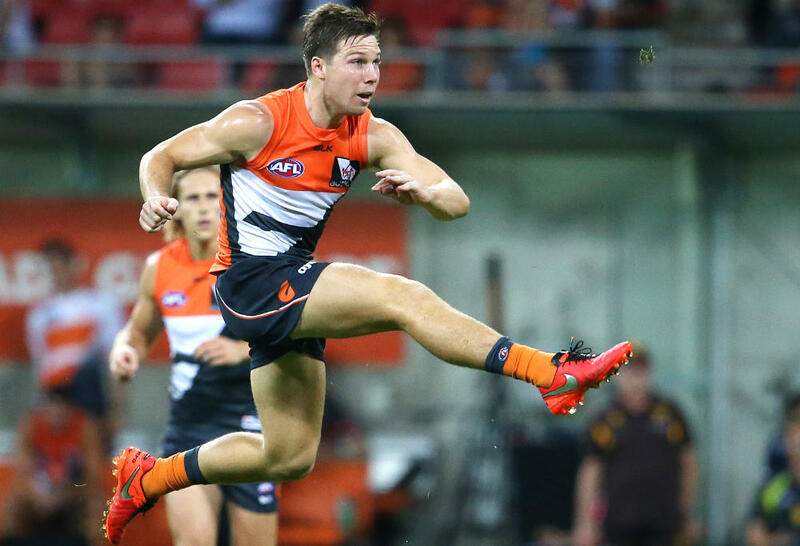 Toby Greene hits the season fresh off being a million dollar man if the media reports are to be believed, having signed a six-year deal earlier this week. He’s the best half-forward in the competition, a big moment player that uses his mind and body as well as anyone to outwit his opponents. Matt de Boer is the only real pressure specialist at GWS, and as such is an integral part of the mix. It wasn’t a coincidence he played in all three finals last year. Tim Taranto added plenty in that area in the games he played but also displayed his natural talent when given the chance. They’ve got a good one there. The Giants have the talent across all lines, but this has been evident for the last two seasons. What they don’t have this year is depth. Five best-22 players have left the building. None have come in. It leaves them incredibly threadbare and vulnerable. If injuries strike them again like they did last year, and it’s already started, they may struggle to make the eight. The team named above has Deledio, Griffen and Matt Buntine in it, who played 12 games between them due to injury last season. Cameron’s hamstrings have shown weakness. Greene will probably get suspended at some point. They’ve got a few role players to come in, but jobbers only. All those players that have left GWS in recent years, which would form a decent 22 in their own right, are going to come back and hurt them. The Giants have a friendly enough start to the year given they’re coming off two prelims, facing only one finalist from last season in the first six rounds. It gives them a chance to build momentum. They should be right in the top four conversation coming out of the bye, and they’ll need to be with some sticky assignments in the last two months. In six months, will we still be talking about the rise and rise of GWS, or will 2018 be the recession they had to have? Ryan Buckland wrote last month how the Giants are no longer pre-ordained for success but have now become just another club that has to fight for what it wants. They’re about to find out, just like everyone else, that progress is not always linear.